Here is a work of art that will entice collectors of exceptional picture books. It comes highly recommended. 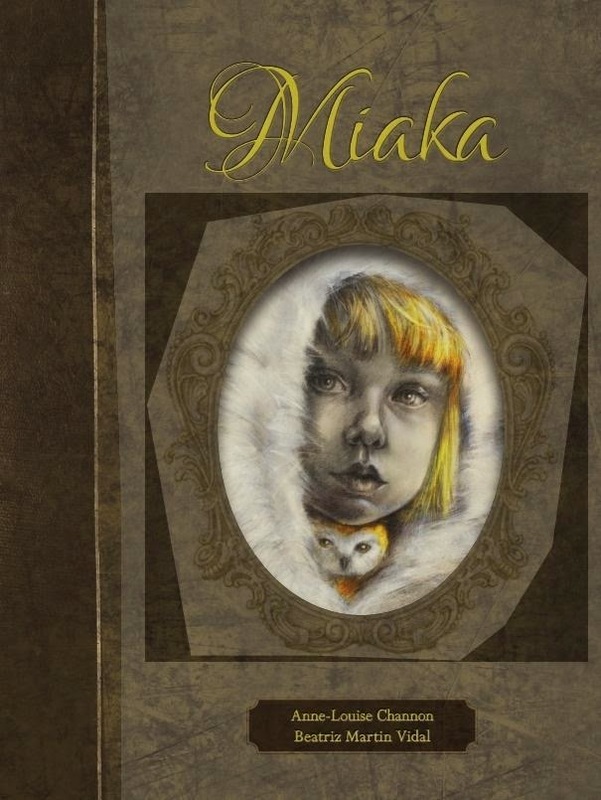 Anya lives happily with her seamstress mother, farmer father, and pet bird, Miaka somewhere in the frozen countryside of Russia. The long freeze destroys their crops. Summer stays away that year and the next. Then father dies. Money runs out and so does the food after Anya’s toys are sold for firewood. Weakened by hunger, mother is forced to send Anya to live with the baker and his wife in the village. But charity is not available. Anya must work hard in return for food for Miaka and herself. The bird grows strong and fat. When the girl overhears a conversation that rocks her world, she is forced to make a drastic decision. This is a haunting story about the bond between human and animal, and sacrifice that comes at the ultimate price. Anya’s emotions are portrayed incredibly well through the stunning, full page illustrations. The colours are dark like the theme. The only brightness exhibited is the girl’s hair and the bird’s feathers which carry messages of their own for the reader to interpret.